Yes, you can get to Esalen! Empathy — for yourself and others — is a crucial skill at all times, and especially in times of trouble. Empathy is possibly your most essential skill, yet many of us struggle with it simply because we weren’t taught how it works. When you learn how empathy works, you’ll be able to empathize skillfully without becoming overwhelmed or burning out — and this ability can improve every area of your life. In this six-day program at the delightful Esalen Institute retreat center overlooking the Pacific ocean near Big Sur, California, you’ll join empathy pioneers Karla McLaren, M.Ed. and Amanda Ball, MS in an experiential exploration of The Art of Empathy. No matter where you start — whether you’re highly empathic or whether you’re having difficulty accessing your empathy — you’ll learn how to work with empathy in healthy, grounded, and accessible ways. If your empathy is too intense, you’ll learn how to manage it more comfortably, and if empathy is confusing or difficult for you, you’ll learn how to work with it more skillfully. No matter where you start, you’ll learn how to balance connection and intimacy with self-awareness, and you’ll learn how to develop healthy empathy! Tuition is $650 for the six-day Art of Empathy retreat (Sunday, October 1st through Friday, October 6th, 2017) includes your retreat, all of your meals, use of the facilities, and simple accommodations. For other accommodation options, see this lodging rate list. Art of Empathy Retreat Schedule: You’ll arrive on Sunday afternoon, October 1st and check into your room. We’ll have a Sunday night introduction session, with morning and afternoon sessions Monday through Thursday, plus a final morning session on Friday, October 6th. 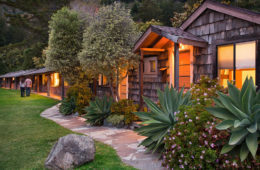 Esalen’s relaxed schedule will give you plenty of time for rest, movement, relaxation, nature walks, and/or body work. 25.5 CE Credit hours are available for Nurses, Social Workers, Psychologists, Counselors, MFTs, Chemical Dependency Counselors, and Educators. See below. 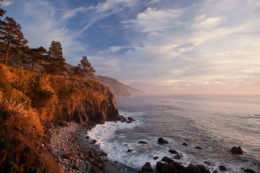 Traveling to Esalen: See your travel options here. Esalen is a wonderful institute and retreat center famous for its beautiful grounds overlooking the Pacific Ocean — and for the form of massage that shares its name. Each day of your stay, you’ll spend time in the Art of Empathy workshop, plus you’ll have options for movement, learning, dance, time in the Art Barn, time in the hot springs overlooking the ocean, or massage and bodywork — it’s a relaxed, luxurious, and comfortable way to learn. It’s really a 3-for-1; you get a relaxing vacation, a delicious healthy retreat, and an Art of Empathy workshop all in one! We hope to see you there! Karla McLaren, M.Ed. is an award-winning author, social science researcher, and pioneering educator whose empathic approach to emotions revalues even the most “negative” emotions and opens startling new pathways into self-awareness, effective communication, and healthy empathy. She is the founder and CEO of Emotion Dynamics LLC. 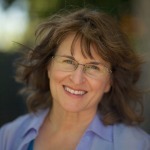 Karla’s lifelong work has been focused on the creation of a grand unified theory of emotions, which presents every emotion as an essential aspect of intelligence, self-awareness, communication, and empathy. Her applied work, Dynamic Emotional Integration®, is a leading-edge training program and consultation process to help people develop keen emotional awareness, healthy empathic skills, and emotionally-respectful mindfulness practices. 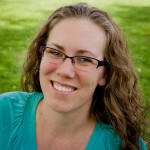 Amanda Ball, M.S. has her Master’s Degree in Mental Health Counseling. She focused her academic studies and internship on the work in The Language of Emotions and The Art of Empathy, and developed emotional skills curriculum and grief and trauma process groups for high school students. Amanda is the administrator of Emotion Dynamics LLC, and she is double-licensed as a Dynamic Emotional Integration® Trainer and Consultant. Amanda is also a lead instructor of Dynamic Emotional Integration®, and her professional interests include emotions & empathy, addiction & distractions, neurodiversity, trauma healing, and gender & sexuality. She divides her time between Northern California and New England. This workshop is co-sponsored by R. Cassidy Seminars, who offer 25.5 hours of CE credit to Nurses, Social Workers, Psychologists, Counselors, MFTs, Chemical Dependency Counselors, and Educators for The Art of Empathy Retreat. The PDF below contains information on the CE granting organizations, workshop agenda, and learning objectives (please see the specific information for your state). These 25.5 hours of CE credit are available through R. Cassidy Seminars at an additional cost of $40 per participant. Click here to register for CECs with Cassidy. Cancellations must be made by phone with Esalen staff. See the full Registration and Cancellation polices at Esalen for specific policies and instructions.